There are beautiful condos for sale in Huntington Beach located in Surfcrest. Surfcrest in Huntington Beach is a gated community that features Huntington Beach condos for sale. Surfcrest is located in the 92648 zip code. 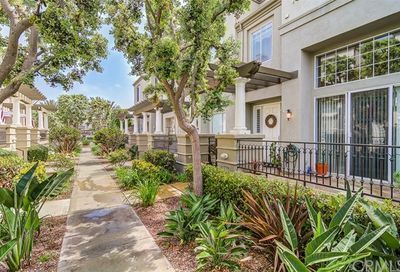 These condos in Huntington Beach were originally built in the mid 1990’s by New Urban West, Inc.
Surfcrest is a gated Huntington Beach community of condos, and there are 115 condos in this beach close community. There are four floor plans in this community ranging in size from 2030 square feet to 2430 square feet. The floor plans have 2-3 bedrooms, and they all have 2.5 bathrooms. These Huntington Beach condos do have two car garages as well. There is also a patio area to enjoy the coastal Huntington Beach climate. The streets in Surfcrest are Surf Drive, Surfboard Circle, Surfcove Circle, Surflanding Drive, Surfpoint Circle, Surfset Drive, Surftide Drive, Surfview Drive and Surfwave Drive. The location of these condos is ideal and it is a short 5 minute walk to the beach, it is located off Seapoint and Palm in Huntington Beach. There is a pool, spa, and it is walking distance to Dog Beach which is located in Huntington Beach. These lovely Huntington Beach condos do have balconies to enjoy the beach climate as well as front patios. Below is the photo of the balcony which all of the condos in Surfcrest have. Search the MLS for condos for sale in Huntington Beach, and Huntington Beach homes for sale. 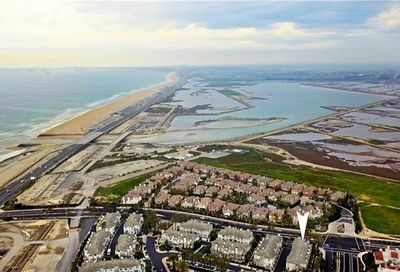 Absolutely stunning, largest model end unit townhome with gorgeous views of the city lights, mountains and wetlands in the ocean-close, guard-gated community of Surfcrest! 3 bedrooms + family gathering room with balcony, 2.5 baths with new hardware.